Demonetisation and haphazard implementation of Goods and Services Tax have impacted the recovery of Rs 11,000 crore of loans disbursed under the Centre's Micro Units Development and Refinance Agency (MUDRA) scheme, the Shiv Sena said Tuesday. In an editorial in party mouthpiece 'Saamana', it said, "Loans worth Rs 2.46 lakh crore have been disbursed so far to 4.81 crore small scale industrialists. The outstanding amount of these loans has piled up to Rs 11,000 crore, which is a serious issue." "In the early stage, these entrepreneurs suffered from decisions such as demonetisation and haphazard implementation of Goods and Services Tax. It has affected loan recovery," the Sena editorial claimed. "This sector is also affected due to the slowing of country's economic growth in last two years. It can easily be deduced that some policies of the government are responsible for Rs 11,000 crore outstanding loans under the Mudra scheme," the BJP's ally in the Maharashtra and Union governments alleged. "The outstanding loan ultimately becomes a burden for the common man. Hence, there is nothing wrong in the RBI expressing its concerns over the slow recovery of Mudra loans," it said. 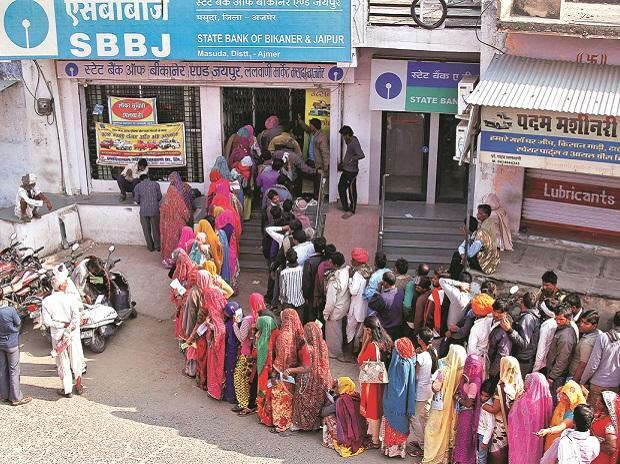 "Banks need to take steps to recover the amount outstanding, but it should not curtail the aspirations of upcoming businessmen," the Sena said.